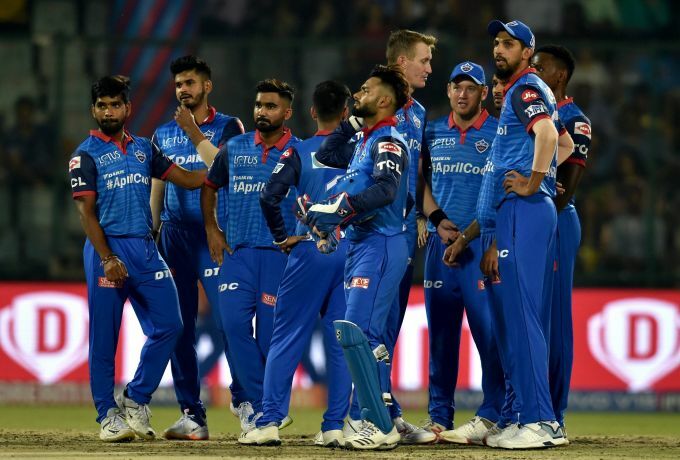 New Delhi: Delhi Capitals (DC) Rahul Tewatia with teammates celebrate wicket of SRH's Jonny Bairstow during the Indian Premier League 2019 (IPL T20) cricket match between Sunrisers Hyderabad (SRH) and Delhi Capitals (DC) at Feroz Shah Kotla Stadium in New Delhi, on Thursday, April 4, 2019. 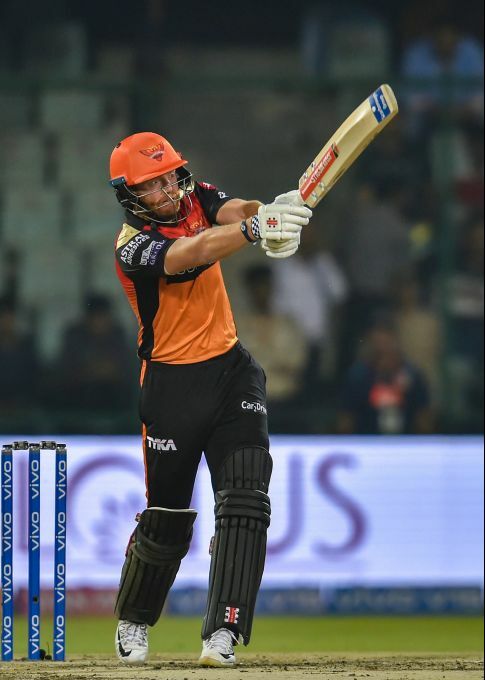 New Delhi: SRH player Jonny Bairstow plays a shot against DC during the Indian Premier League 2019 (IPL T20) cricket match between Sunrisers Hyderabad (SRH) and Delhi Capitals (DC) at Feroz Shah Kotla Stadium in New Delhi, on Thursday, April 4, 2019. 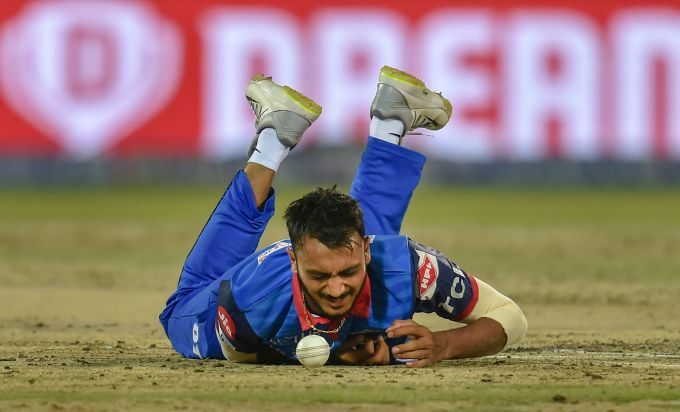 New Delhi: DC player Axar Patel in action during the Indian Premier League 2019 (IPL T20) cricket match between Sunrisers Hyderabad (SRH) and Delhi Capitals (DC) at Feroz Shah Kotla Stadium in New Delhi, on Thursday, April 4, 2019. 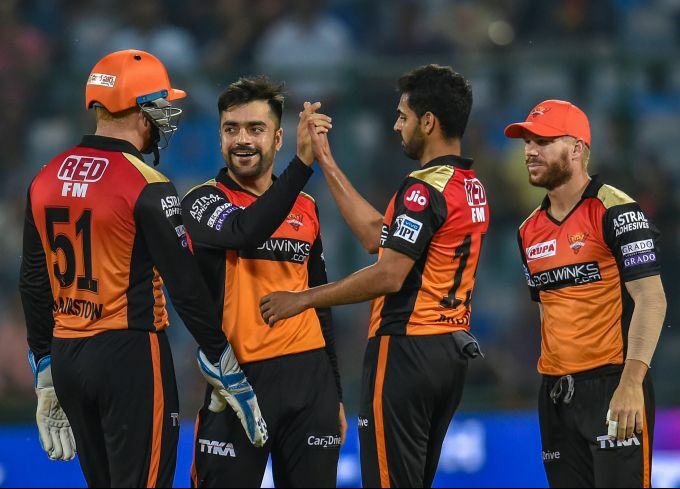 New Delhi: SRH player Rashid Khan celebrates wicket of DC player Shreyas Iyer during the Indian Premier League 2019 (IPL T20) cricket match between Sunrisers Hyderabad (SRH) and Delhi Capitals (DC) at Feroz Shah Kotla Stadium in New Delhi, on Thursday, April 4,2019. 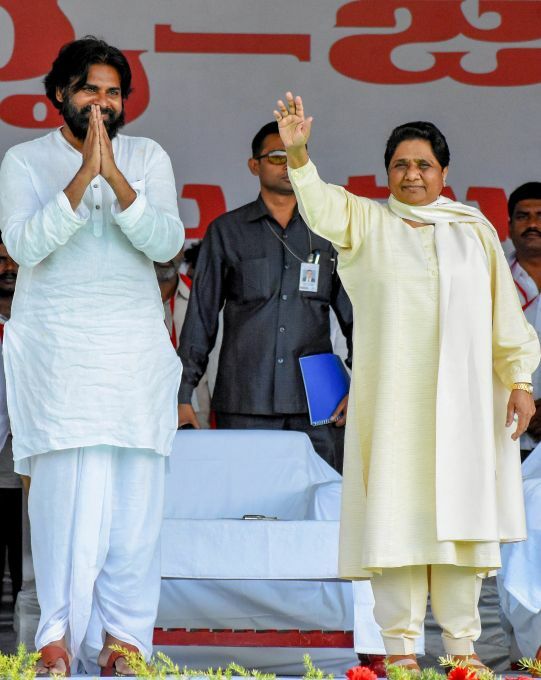 Tirupati: BSP Supremo Mayawati with Jana Sena Party Chief Pawan Kalyan during an election rally, ahead of the Lok Sabha polls, in Tirupati, Thursday, April 04, 2019. 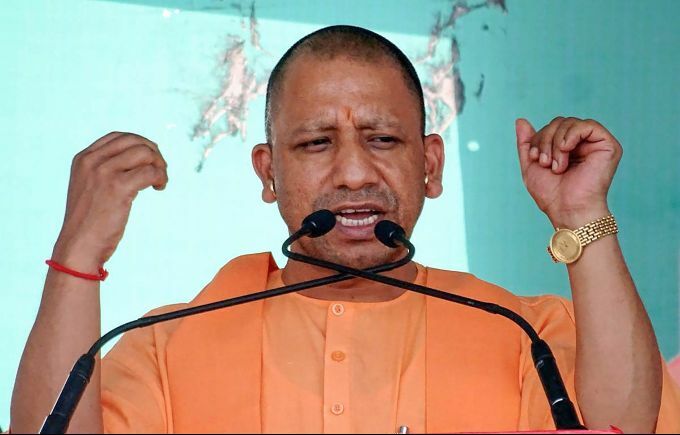 Muzaffarnagar: UP Chief Minister Yogi Adityanath during an election rally, ahead of the Lok Sabha polls, at Muzaffarnagar, Thursday, April 04, 2019.